Pharmaceutical companies do not have our best interest at heart. Board-certified cardiologist Dr. Jack Wolfson gets the information out to the world about how we can achieve the best in heart health and do so naturally. In this inaugural episode, Dr. Wolfson talks about his father’s battle with Progressive Supranuclear Palsy, and how he was following the exact same footsteps of an unhealthy lifestyle before meeting the woman who would change all that. He also gives a sneak peek of what his future shows hold – entertaining and educational interviews with fantastic guests. Discover the gift of health and wellness as Dr. Wolfson talks about the different ways for you to achieve your best life. I’m starting this blog because I want to get all the information out there to the world about how we can achieve the best in heart health and we can do so naturally. You can trust me because I’m a board-certified cardiologist. I’m going to tell you my whole story. I’ve got some interesting things that I can share with you in this inaugural episode. I’m going to tell you that the future of my show holds interviewing some fantastic guests. I want it to be entertaining and I want it to be educational as well. I always want you to get out of the future episodes that the information that we’re discussing can all be applied to you for the best in heart health. No matter what that heart condition is, no matter what that issue is with you, whether it’s high blood pressure or cholesterol or diabetes or obesity, weight gain or it’s congestive heart failure or atrial fibrillation. Everything that we’ll talk about in my future episodes, if you apply that information, it will benefit overall health. In future episodes, you may hear us talking about yoga and not even necessarily mentioning the cardiovascular benefits. Please understand that every person that I interview, everything we discuss, the more you follow that information, the better off your overall health and certainly the better off your cardiovascular health. We’re going to be doing some exciting stuff. I’m going to be doing some episodes that I’m going to be talking about cardiovascular issues as well. We’re going to be your home for total body, heart health and wellness. I want to give you some information and some background about myself. I wanted to start off talking about a man who was very important in my life. This man was the first Doctor of Osteopathic Medicine at the Cleveland Clinic in 1970. He was the first DO there. He went to osteopathic school not because he had any love for osteopathic medicine and osteopathic manipulation. He went to osteopathic school because his cousin was a DO and he looked up to his cousin and he decided to go check out the school. He went out to that school and he excelled at the osteopathic school in Iowa. From there, he became the first DO at the Cleveland Clinic in 1970. The Cleveland Clinic is an all MD institution and he is the first DO there. From there, he goes on to become the first DO at the University of Iowa in their Department of Cardiology. The University of Iowa in the early 1970s was a very prestigious institution. It still is now, but back then they were doing some cutting-edge research and generating some fantastic young cardiologists. From there, this person goes on to head up the Chicago College of Osteopathic Medicine, Department of Cardiology. He heads up eventually a group of over fifteen cardiologist, nurse practitioners, physician’s assistants and he trains these cardiologists. He travels all around the world for pharmaceutical companies speaking and lecturing them. He is well-published. He writes in different journal articles and different studies that he’s participating in. He is very well-respected all around the world for his cardiology skills and knowledge. In fact, the people that knew him often spoke that he had a photographic memory, that he was absolutely brilliant. He was a pillar of cardiovascular society in Chicago for many years. I knew him for all of these things. I also knew him because he was my father. I knew him for how brilliant he was, but I also knew that he was the life of the party. He was the guy that everybody loved to congregate around. He was the joke teller, the storyteller. He would go to happy hours and that was his favorite place to go on a Friday afternoon. He would take out all the students, the residents, the fellows, the other doctors and the people that he worked with. They absolutely loved to hang out with him and my father loved to tip a few beers back. He was also the life of the party because he treated everybody and paid for everybody’s drinks and their chicken wings and their potato skins, and all this stuff you would do at a sports bar in Chicago. He has all these things going on for him. He’s got all this practice success. He’s got friends, he’s got family, my brother, my sister, my mother and everything is going amazing for this guy. Then all of a sudden, he became depressed and we were dumbstruck. Why would he become depressed? He’s got all these things going on for him. He’s got all the practice success. He’s got all the financial success. Everything you could ever imagine going on for him in a positive way and he’s depressed. What does any good family do? We took him to see a psychiatrist and the psychiatrist puts him on a pharmaceutical, it doesn’t work. Another pharmaceutical, it doesn’t work. The next pharmaceutical, it doesn’t work. The pharmaceuticals aren’t working and we are befuddled as to what’s the matter with our father. From there, the situation gets a little bit worse. He starts to have trouble walking. He starts to have trouble chewing and swallowing. His facial movements are very limited. We take him eventually to the Barrow Neurological Institute down in Phoenix. It’s a very prestigious medical institution. They diagnosed him with Parkinsonism. It’s not the classic Parkinson’s as described by Dr. Parkinson in the mid-1800s, it’s Parkinsonism. In any case, they tried him on some Parkinson’s drugs, trying to see if anything will help him, but the Parkinson’s drugs don’t work. Our life was in shambles. This man was the leader of the family and now he’s just a shell of his former self. He’s no longer interested in going out and going to sports bars and traveling and speaking. His brilliant mind is becoming mush at this point and we don’t know what is going on and it’s very sad. Many amazing things were happening in the rest of our lives at that point. People are getting married and having children and everything is wonderful except for this dark cloudiness of sad, as my sister likes to say. Just overall, this feeling of helplessness and despair. The pharmaceutical drugs were not working and my father fell and he fractured a rib and caused these different damages to himself. This constant choking while he’s eating and swallowing. It’s absolutely terrible. Eventually, we took him to the Mayo Clinic and they took a look at him there. The chief of neurology there labeled him with PSP, Progressive Supranuclear Palsy, which is similar to Parkinson’s. It’s not the exact same thing and it does affect a similar area of the brain. The head of neurology over there said, “We have no idea what caused this PSP in your father. We have no treatment for this and he will be dead within a few years.” My father suffered a torturous and cruel death for those last few years of his life and there was nothing that anybody could do about it, nothing at all. The Mayo Clinic had no idea why. Heart Health: Progressive Supranuclear Palsy is similar to Parkinson’s. It’s not the exact same thing, but it does affect a similar area of the brain. My father liked to drink. He was a good drinker. He was the life of the party, he enjoyed having his drinks on Friday afternoons at happy hour and on the weekends. He enjoyed all those things and there’s no sob story to his alcohol addiction, except for his death, that’s the sob story. He’s an alcohol drinker and could that have played a role in his demise? Could that have played a role in his brain issues? I will tell you now and in the future episodes, “Yes, of course. It did.” My father also liked to drink this poison called Crystal Light which has artificial colors, artificial sweeteners, artificial flavors that are inside of that. That Aspartame, Acesulfame, which so many medical doctors now understand is a known neurotoxin and all that destroys the brain. Then living in Chicago for all those years, the ethnic foods, the deep-dish pizzas, the Chinese foods on Sunday night. All of these unhealthy foods that my father was eating. As a cardiologist in Chicago, he was not getting much sunshine, not getting much sleep. You can imagine that a cardiologist in Chicago certainly is not getting much sunshine. How nice is it in Chicago? Maybe you get ten days of sunshine on the weekends per year where cardiologists could be outside enjoying that sun. We traveled a lot as a family. My father traveled all over the world, very oftentimes on pharmaceutical companies. A payroll for which you would take these fancy trips to Hawaii and they would pay for the entire family and they would cover our meals, hotel, lodging, and travel. My father spoke for an hour on behalf of these pharmaceutical companies. My father, like any cardiologist, did took statin drugs. He took a pharmaceutical called Lipitor, Crestor or Zocor. Those things that can influence the brain and cause damage to the brain and I’ll talk about that in future episodes. He took aspirin as any good cardiologist would with the limited benefit if any. He took antibiotics when he felt an infection coming on. We actually would travel with antibiotics. We would go on family trips to Mexico and you’re in trouble when antibiotics are on the menu with a local Mexican restaurant, so you better be careful with that. My father also worked in the sickest place in the entire world. He worked in the hospital. In the hospital, there were all the chemicals, all the cleaning agents, the bleaches, the insecticides, the viruscide, the fungicide, and the bactericidal products. All the chemicals that are inside that hospital and artificial lights, no sunshine, and poor sleep as a cardiologist. Then he worked in the cardiac catheterization lab where they do angiograms and pacemakers. The cardiologist is getting blasted with radiation and the radiation goes right into the brain and causes damage. Yet, the Mayo Clinic had no idea why my father got sick. They just knew that he was going to die and that’s what they said and that’s exactly what happened to him. There’s someone in this story that is following on the exact same path and that person is me, Dr. Jack Wolfson, myself. I’m following the exact same path. I’m in Chicago. I’m becoming a cardiologist. I’m drinking the drink. I’m eating the food. I’m not getting the sunshine. I’m not living with Mother Nature and I’m not living in congruence with the natural, healthy living. I’m not sleeping, because as young cardiologists, we brag on how little sleep we get and how little sleep we need. You would live on coffee and you would live on quickie carbs and sugar. That was the life that I was leading. I was following in the exact same footsteps as my father. I went to osteopathic school because my father was my hero. I looked up to my father every single day of my life. He was the greatest man I ever knew and still remain so to this day. He was an amazing man and unfortunately, he didn’t know any better about the healthy lifestyle and I’m going to share all that with you. I didn’t know any of that either. I didn’t know any of that information about living a healthy lifestyle. I was following the exact same footsteps. I went to osteopathic school because he was a DO. All of his friends were DOs. I couldn’t wait to go to osteopathic school to learn what my father knew. To eventually become a cardiologist so I can have the conversations with him as he had with his colleagues. I would sit by envious of hearing those conversations about difficult patients, difficult heart cases that they would discuss. I couldn’t wait to get to that point where I would be able to discuss that stuff with my father. I finally got to that point where I could have those conversations but by the time I got there, my father was gone. My father had already checked out. His brain was mush. He wasn’t able to have those conversations that I so desperately wanted to have. I lost out on all that and I miss that and I regret that. I’m following the exact same footsteps. I have no doubt that I was going down that same path. Then I met the woman who would change all that. I met the woman who would change my life, and that woman is a Doctor of Chiropractic, a DC. As she likes to say, “It’s chiropractic that saved my life.” I’m going to say that Dr. Heather saved my life and chiropractic philosophy saved my life. The chiropractic lifestyle saved my life, the healthy lifestyle, the natural lifestyle. That’s what did it. I met Dr. Heather and we got introduced. It was essentially a blind date where a friend of mine told me about her. A few weeks later, I ran into this friend of mine at a local arts and crafts event in my neighborhood where I lived in Arizona and he said, “Go up to Heather. She’s over there walking around with her grandparents.” I went up to Heather and we started talking and we quickly fell in love and got married. What she told me would radically change my life. What she told me was about my father. She said my father was sick because of a lousy diet. My father was sick because he ate toxic food, pesticide riddled food. My father drank alcohol, which she said was damaging. My father took pharmaceuticals, which she said were worthless and dangerous. Here I am, a young cardiologist and she’s telling me, this Doctor of Chiropractic, that aspirin is worthless and statin drugs are worthless. She tells me my father did not get the sleep. My father did not get the sunshine. My father did not get adjusted by a doctor of chiropractic. My father never saw a natural holistic doctor and that’s why my father got sick and was dying. Heart Health: Pharmaceuticals are worthless, and the procedures we do are worthless and dangerous. My father, she says, was drinking Crystal Light which was poison. My father was not getting the stress out of his life, not getting relaxed. She tells me all these things. She says, “Jack, your medical paradigm is a joke. Your medical system is not healthcare, it is sick care.” This is what she tells me. She tells me the pharmaceuticals that I prescribe are worthless. The procedures that we do are worthless and dangerous, and that heart disease is preventable. Mind you, she told me this stuff on our first date. She tells me all this information and I listened to what she had to say. I listened to what she had to say for a few different reasons. Number one, if you know my wife, Dr. Heather, she’s absolutely smoking hot, so of course I’m going to listen to what she has to say. The reality is that what she said made perfect sense. She was telling me all the reasons why my father was sick. The Mayo Clinic has no idea, and here’s this young doctor of Chiropractic. She’s got all the answers and I listened because it made sense. I listened because I saw what was happening to my father. I listened because I saw all the sickness around me in the hospitals where the hospital is a revolving door. In the hospitals, someone comes in with a heart attack, you tune them up, angioplasty, a stent. You put them on pharmaceuticals, you send them back out, and then a few months later they’re back in the hospital with another heart attack or a complication from the pharmaceuticals or congestive heart failure. I saw the futility in modern cardiovascular medicine and this is coming from a young doctor of chiropractic. Quickly thereafter we got married. We had a beautiful wedding and life was starting to change. I got so excited about this natural health and wellness lifestyle. My eyes have been opened to natural health. I feel like I’m out of a Matrix. If you remember the movie, the Matrix with Keanu Reeves about his living in this dream state and how all humans are living in this dream state and it’s undoubtedly true now. We are all living in this fantasy world and we need to open up our eyes to the reality that the pharmaceutical companies do not have our best interest at heart. That the insurance companies, that the hospitals, that the whole system is geared towards our sickness and parlaying their profits on the back of human beings. I am here on the Healthy Heart Show to break that, to break you out of that matrix, to get you into the holistic and natural side of things. As I started to learn and started to read books and started to change my personal life, that’s going to extend into my medical practice. This kind of talk and this kind of behavior amongst the cardiologist is not well-tolerated by the industry. What’s happening is that the head of the medical group that I was with starts getting phone calls. The phone calls are angry at Dr. Jack Wolfson, “Who is this guy? Why is he recommending my patients see a natural doctor? Why is he recommending my patients get off drugs? Why is he recommending my patients follow this crazy Paleo diet? I don’t believe in that type of stuff. Tell Dr. Wolfson to stand down or I’m not going to refer patients to your practice anymore.” The higher-ups in my practice were getting upset. They don’t want to lose their patients. This is a big business to the tune of hundreds of thousands, if not millions of dollars, generated in this money factory. Of which the big cardiologist group I was with, I was with 40 other cardiologists in the group, nurse practitioners, physician’s assistants, all kinds of other people and they were not happy with me. They were asking me to apologize to these doctors to change the way I practice. Truth be told, the head of the group pulled me aside on several occasions and said, “Jack, my girlfriend,” who would eventually become his third wife. There’s nothing wrong with that. It happens but she eventually became his third wife and she believes in natural. She believes in holistic. “I believe in what you’re saying, but it’s not good for business. You’ve got to stand down. You can’t talk like this.” The writing was on the wall for me and eventually, it took me some years to break free of that mold, to develop the confidence to leave that industry. Eventually, I did in 2012. The confidence is one thing, but also the money that is made by the typical cardiologists, the money that I was making to give all that up to do the right thing, to give all that up to open up my own practice, Wolfson Integrative Cardiology and now we practice together as The Drs. Wolfson and TheDrsWolfson.com. It’s allowed me to do a podcast like this and be all over YouTube, CNN, beyond local media and national media. It was breaking free of that mold and it was a huge step. It was the greatest thing that I ever did and it’s been absolutely wonderful ever since. 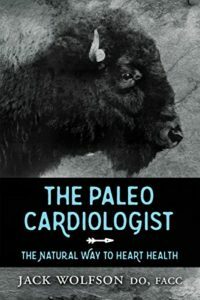 That’s allowed me to get onto a show like this and it’s allowed me to write my book called The Paleo Cardiologist: The Natural Way to Heart Health. We got seventeen chapters in that book. If you haven’t checked out that book. It’s an Amazon bestseller. We got it available on our website and there are seventeen chapters, over 300 references in there from the best of the best medical journals. It’s all about the natural way to heart health and that’s what this show is going to be about, that there is a natural way to heart health. We don’t need the pharmaceuticals, we don’t need dangerous procedures. We need to understand the healthy lifestyle. Modern medicine is fantastic for an emergency, but I want you to understand this point. For prevention, the medical doctors have nothing. We’re not trained in prevention. We’re trained in a reactive medicine. We’re trained in the pharmaceuticals. We can’t wait until that first day when we write that prescription. It was such a glorious day when I got my prescription pad with my name on it and I get to write that prescription. We’re not trained to question much. We are not trained in original thinking, we’re trained to look at a patient, to gather their symptoms, the signs of issues and then plug them into a diagnosis. For example, the diagnosis of diabetes has pharmaceuticals that we automatically jump to. The tests that are linked to diabetes and heart disease and we order those tests and all that stuff helps to put money into our pockets. We see people as fast as possible and the more people we see, the more money we make on insurance company’s dime. That’s the system that I left and I wrote the book, The Paleo Cardiologist, and it’s been an absolute whirlwind from there. Don’t forget, I’m a board-certified cardiologist. I did four years of osteopathic medical school. I did three years of internal medicine training, so I was a board-certified internist. I did three years of cardiology training and then became a board-certified cardiologist in the year 2002. I was the Chief Cardiology Fellow in my program in Chicago. I was with the biggest group in the state of Arizona for ten years. I was the chairman of the Department of Internal Medicine at Paradise Valley Hospital. I was the Director of Cardiac Rehab. In 2011, I was recognized as one of Phoenix Arizona’s top doctors. I was recognized by my peers as such. A lot of people will say, “Wolfson was an amazing cardiologist. 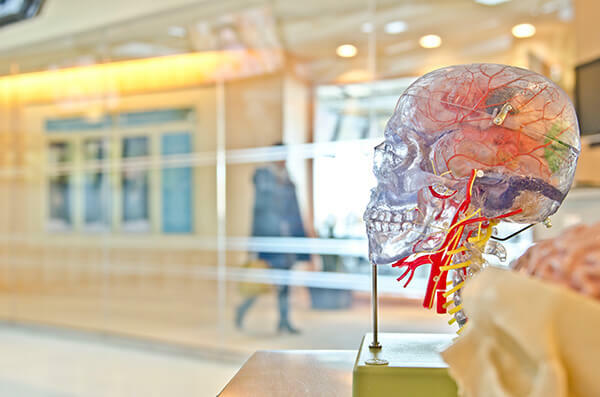 He was very well-respected, but then he met his chiropractic wife and then he went off the deep end.” I went off the deep end, but in this area of the deep end, this is where good things happen. This was my awakening. In 2012, I left that group and I opened up Wolfson Integrative Cardiology and TheDrsWolfson.com. For several years I was recognized as one of Phoenix, Arizona’s top holistic medical doctors. People from all over the world come out to Arizona for the absolute best in cardiovascular health and wellness teaching. I do the most advanced testing in the world. I go after the cause and I want to know why people have cardiovascular issues. We employ nurse practitioners and we employ health coaches to help you stay on the program so you can lead your best life. I love the health coach idea. I love the ability to keep you dialed in with the health and wellness lifestyle. I think that you have your area of expertise. Maybe it’s an engineering or maybe it’s in the food industry or the hotel industry. 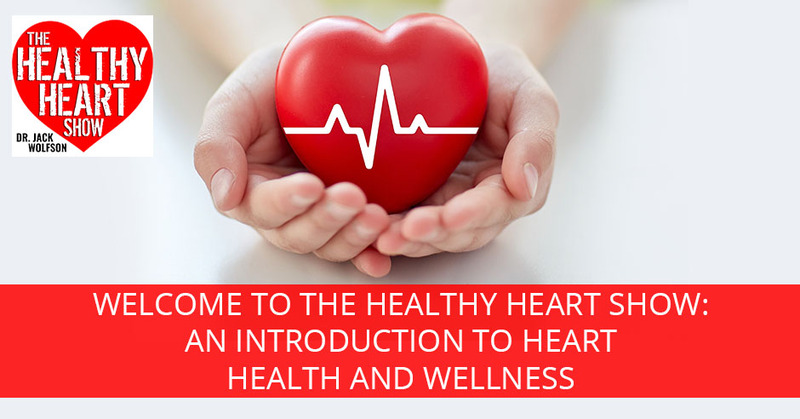 Maybe you’re just a stay-at-home mom or dad and you have your area of expertise, but you need heart health and wellness and that’s what we provide in our office in Arizona and all the online materials. We’re all over social media and we’re all over YouTube. I’ve got my podcast, the Healthy Heart Show. This is going to be where I get you the best of the best. We travel all over the world. We speak all over the world. We’ve got some amazing things for you. In the upcoming episodes, you’re going to get some value. You’re going to get some great understanding. We’re going to talk about supplements. We’re going to talk about lifestyle. We’re going to talk about sunshine and sleep and chiropractic care and relaxation and getting the stress out of your life. We’re going to talk about water systems and we’re going to talk about the benefits and the risks of coffee. We’re going to talk about different ways for you to achieve your best life. I look forward to all of you reading this. I hope you share this with any of your family members. Give them the gift of health and wellness. This is how we’re going to do it with information. This is how we’re going to take over the world. My wife and I are on a mission to save the children, to save everyone who needs saving and that is everyone. We got to pull everyone out of the matrix. We got to pull everyone out of that sick medical model and the sickness model and get them over to the health side. You can’t go to your traditional medical doctor because we get no training in nutrition. We get no training in the healthy lifestyle. We get no training in evidence-based supplements. I want to get this information out there to the world and I want to do so in a very interesting fashion. If you’ve got some other guests you want me to interview, feel free to email us at Health@TheDrsWolfson.com. We’ll get the best of the best guests on here for you to entertain you and enlighten to you. This whole thing called infotainment and I’m going to get Dr. Heather on some of the podcast as well in the future. We’ve got some amazing guests for you coming up and it’s all about living your best holistic heart-healthy life. You can trust me, I’m Dr. Jack Wolfson, a board-certified cardiologist and I’ve been there, I’ve done that, I’ve seen their whole side. I’ve seen the medical side, I’ve seen the failures and now I’m out of the matrix. I’m over on the holistic health and wellness side. I hope you join me.